A bridal viewing in Sykkylven, 1869. Let’s rewind the clock for a tick or two. Back to before you had Instagram. Before you were handing in disposable cameras for development. Before most people owned cameras at all. 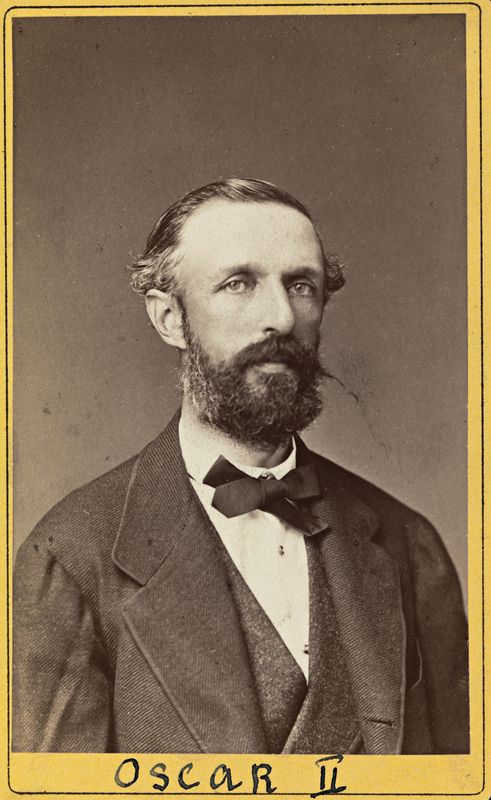 The year was 1852 and the month June when a Danish gentleman by the name of Marcus Selmer arrived in Bergen. He had come to Norway to visit family, but what was by all accounts meant to be a short visit soon turned constant, culminating in Selmer becoming the city’s first permanent photographer. Soon, he’d set up his own studio, which according to Public Domain Review was built almost entirely out of glass – allowing enough light in so that Selmer could take pictures all year round. 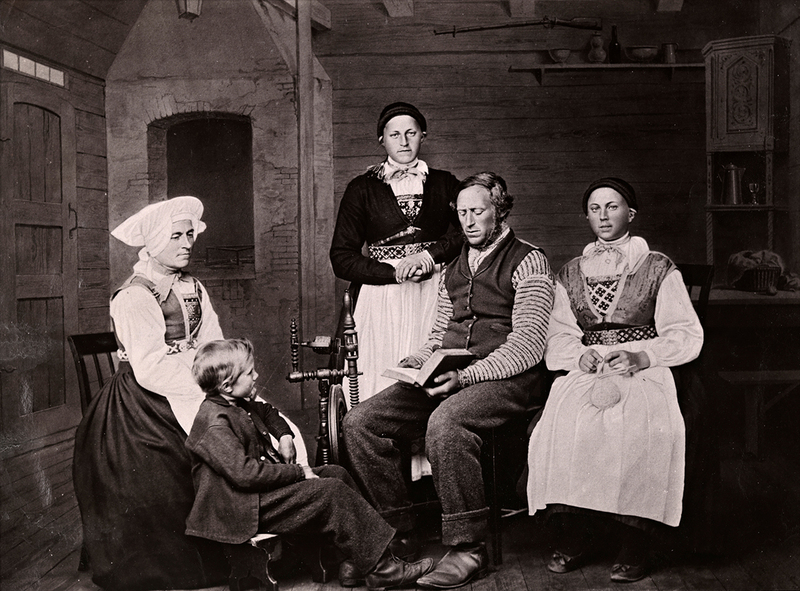 Even though a lot of Selmer’s work was in the field of landscape photography, it is his images of people from all around Norway that are best remembered today. 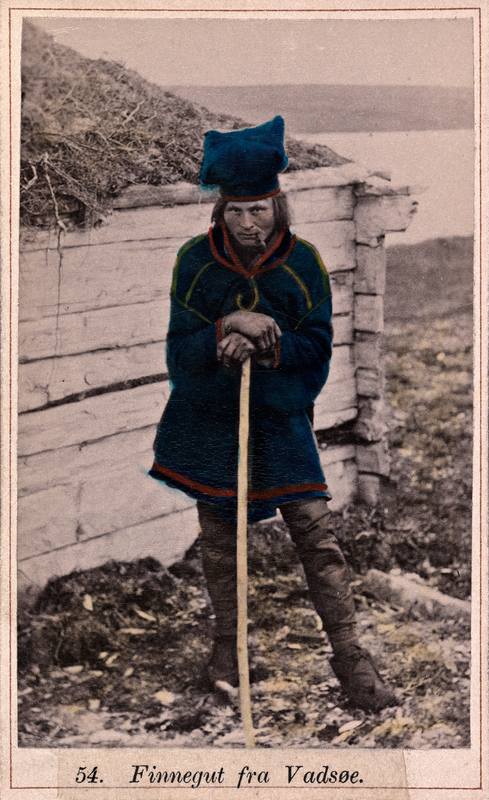 In particular, he took a keen interest in Norwegian folk costumes, travelling extensively to document them. According to Norsk biografisk leksikon (the Norwegian biographical encyclopedia), Selmer had an extroverted personality, quickly gaining a position as one of Bergen’s more prominent and well-off citizens. 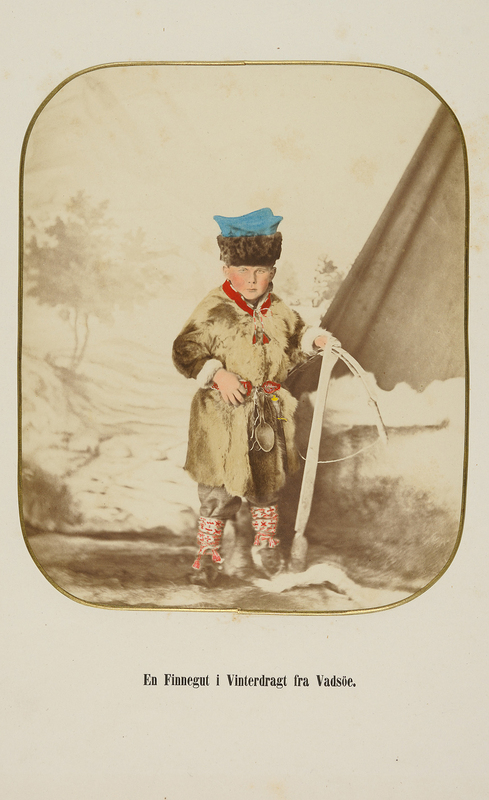 In the year 1880, he was also appointed royal court photographer. Looking at his photographs today is a somewhat surreal experience, all hand coloured details and serious faces staring us right in the eye over the chasm of more than a century and a half. 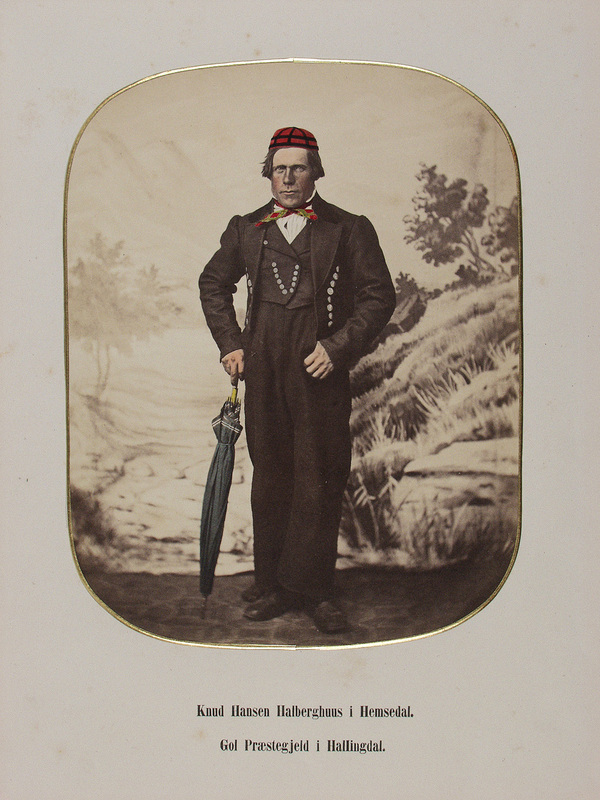 Selmer’s first works were in the early technique known as daguerrotype photography, producing images on copper plates covered in a light sensitive mix of silver and iodine. Exposure time was quite long – between 10 and 60 seconds, according to Sussex PhotoHistory. Still, this presented a clear improvement over the eight hours that had been required for earlier techniques. 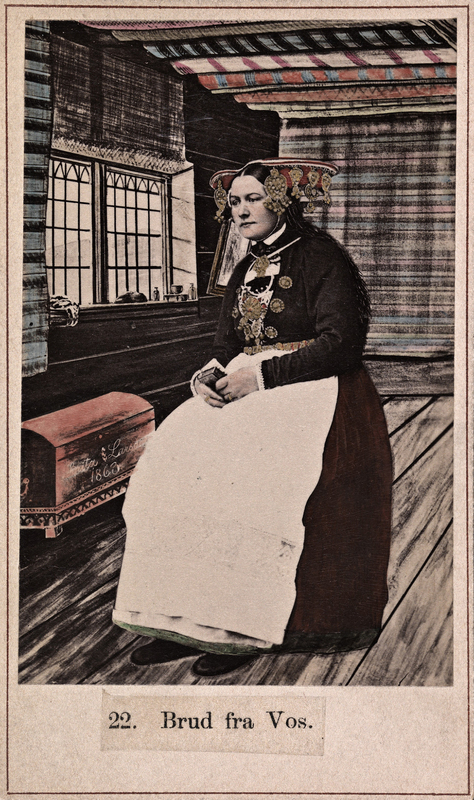 Throughout the 1850s, Selmer transitioned to wet plate photography, a cheaper format that finally enabled him to create copies of his pictures, printing them in books that were sold in Christiania (now known as Oslo), Trondheim and Copenhagen. Even though many of Selmer’s negatives were lost following his death in 1900, a lot of his images do live on. 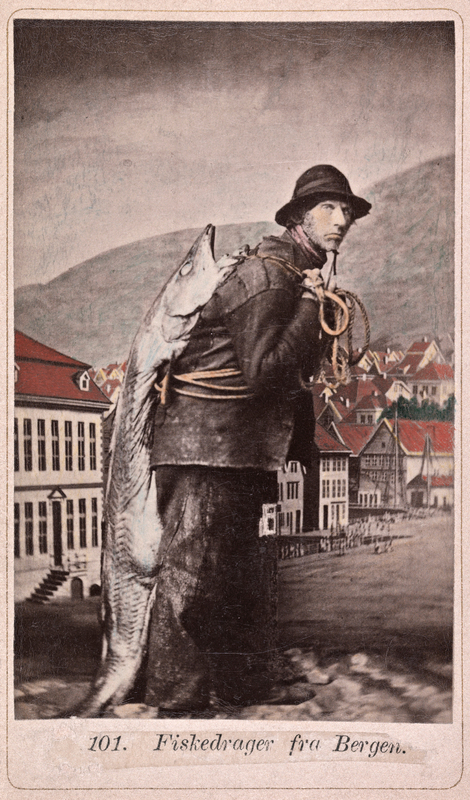 The images in this article are from the most part taken from the collections of Preus Fotomuseum and the National Library of Norway, available on Flickr. If you visit Preus Fotomuseum during 2017, you can view their exhibition “A history of photography” to learn more about the history of cameras and photography techniques. Check out the beautiful shots of the Norwegian west coast by photographer Kyrre Lien, who just made Forbes Magazine’s 30 under 30 list.